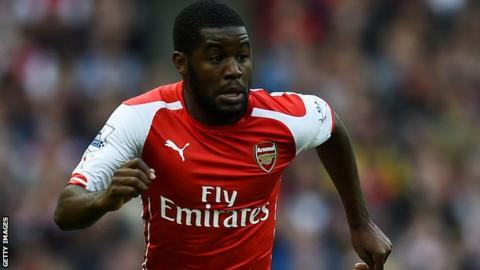 Arsenal striker Joel Campbell has joined Spanish club Villarreal on loan for the rest of the season. The 22-year-old's move is part of the deal that will see defender Gabriel Paulista move to the Premier League club for £15m, according to Villarreal. Costa Rica international Campbell has made 10 appearances for Arsenal this season but has not scored a goal. He spent last season on loan with Greek club Olympiakos and played for his country at the 2014 World Cup.